The bell tower of St. Sophia Cathedral - a monument of architecture of the XV — XVIII. For the first time in the chronicle it is mentioned in 1437, when it reports that during the flood the belfry fell in Volkhov along with the fortress wall. 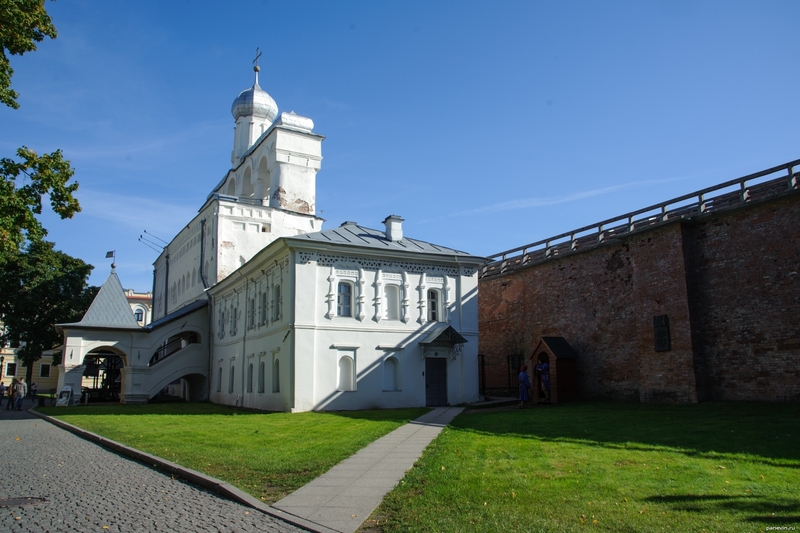 Blog, posts attractions, churches and cathedrals, Novgorod Kremlin, Veliky Novgorod.